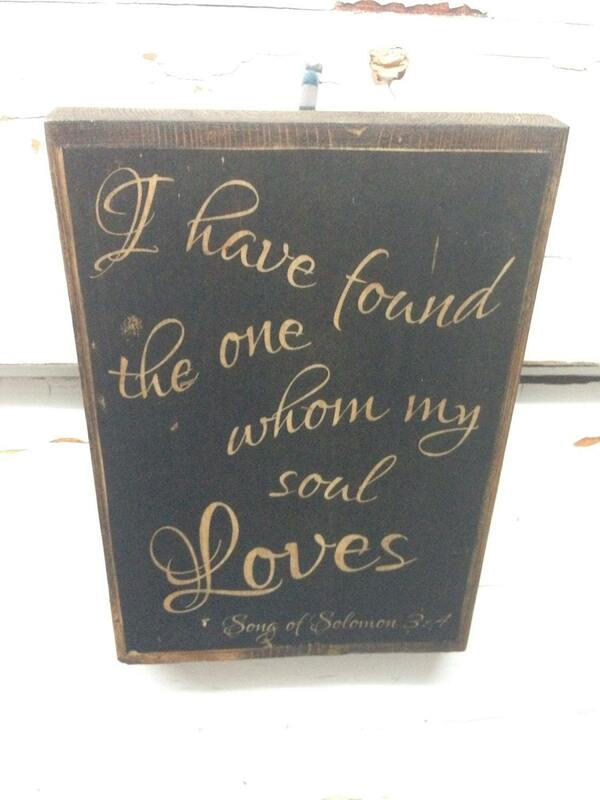 I HAVE FOUND THE ONE WHOM MY SOUL LOVES - Song of Solomon 3:4 Bible Verse on wood. 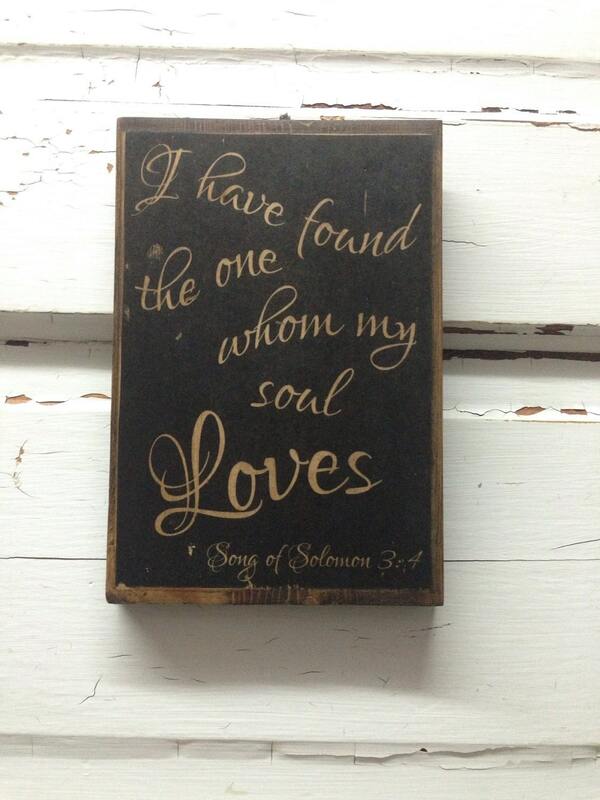 This sweet bible quote on wood is the perfect gift for the bride to be or that someone special in your life. Comes with a hanging hook attached so it's ready to hang or sit on your shelf/desk. 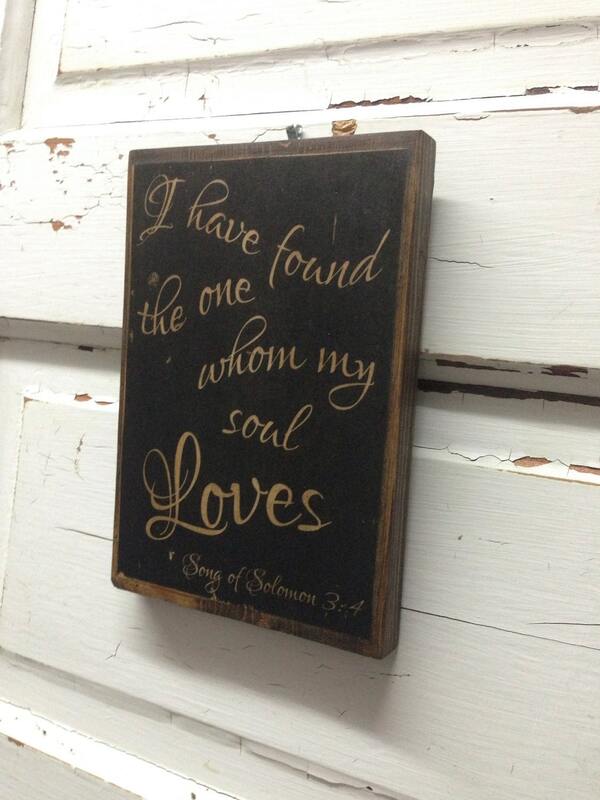 ♥ WANT CUSTOM? This piece CAN BE CUSTOMIZED with your favorite sport. Please message me if interested in this option. CUSTOM MAY TAKE LONGER TO RECEIVE, PLEASE message me to see how long it will take to receive your item, as well as the possible minimal upgraded cost due to the extra time involved in tweaking this item. 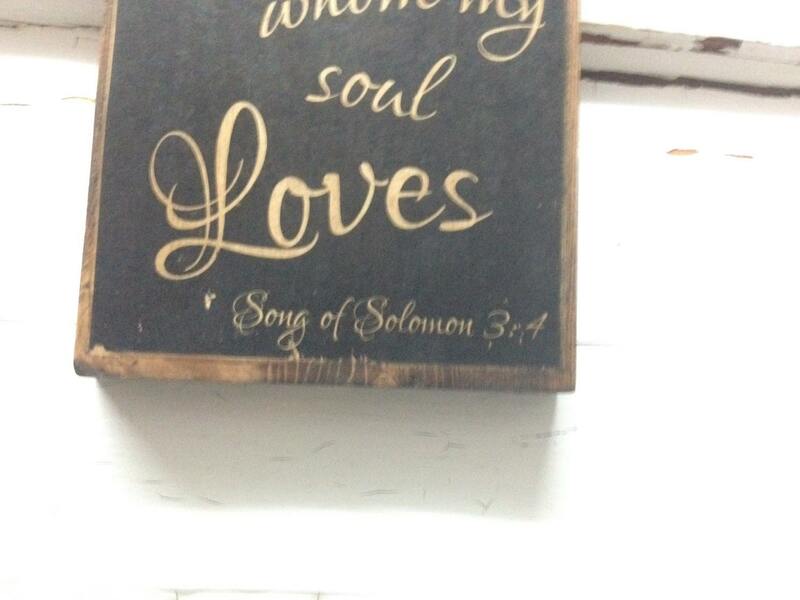 You will receive a proof for your approval prior to the typography art being completed. ♥ Like what you see?! 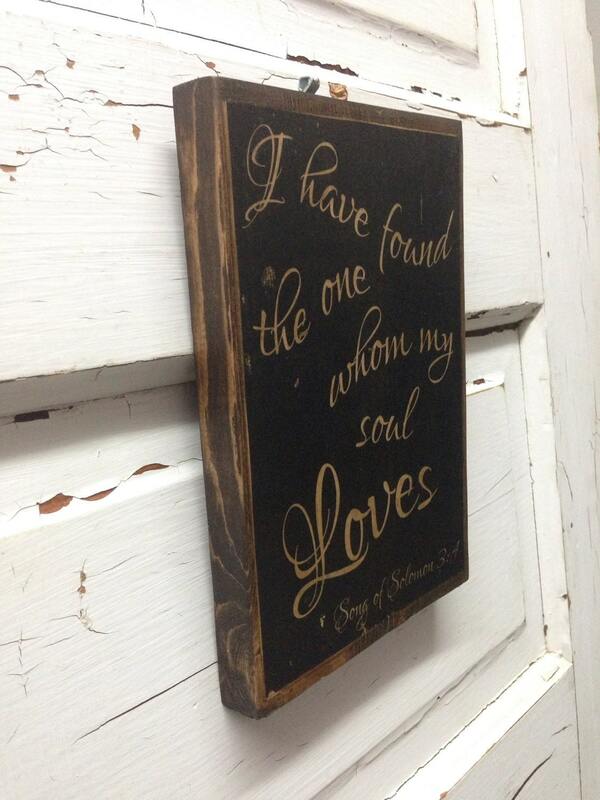 Favorite my shop and stay up to date on my latest creations!